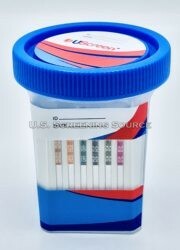 Fast drug testing! 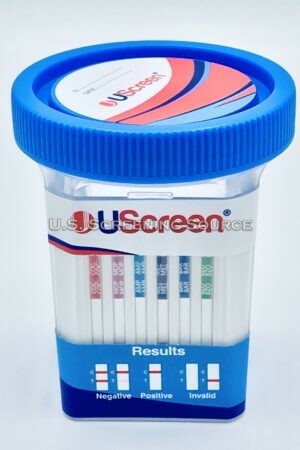 No more waiting 5 minutes for results. 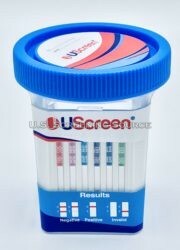 With our UScreen Urine Drug Test Cup you will get negative results with a solid, dark line in 90 seconds or less! 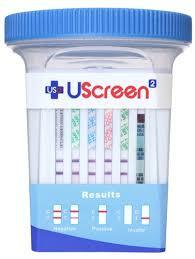 Our UScreen 12 Panel Urine Drug Test Kit Tests for 12 drugs of abuse. 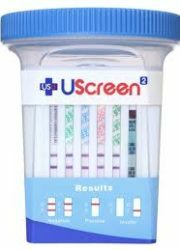 Most results within 60-90 seconds! 1. 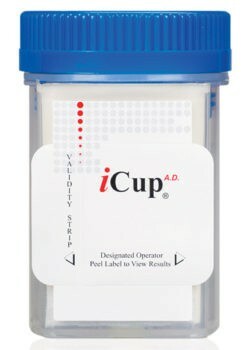 Have the donor provide a specimen in cup. 2. 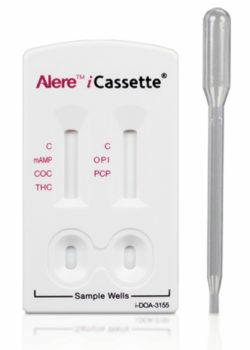 Verify that temperature is within range on the temperature strip (90° – 100°F). 3. 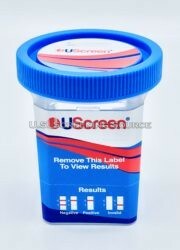 To activate test, place the screw-top lid on the cup and turn until tight. 4. 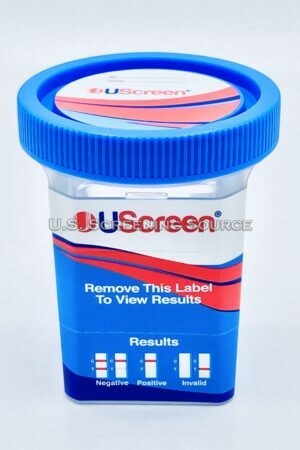 Remove label. For cups with specimen validity tests, compare specimen validity test pads with the color chart. 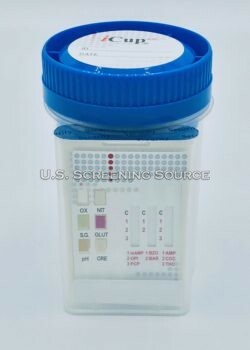 If pad colors are outside normal range, open a second test cup, collect a new specimen, and retest. 5. 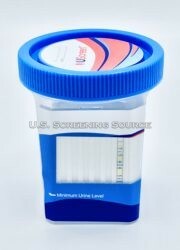 Read the drug screen test results when control lines are clearly visible. 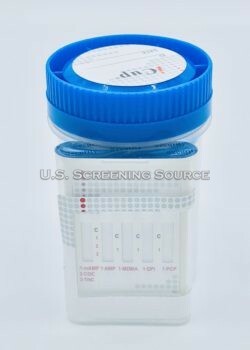 An invalid result is indicated when the “C” line is completely missing from one or more test windows. 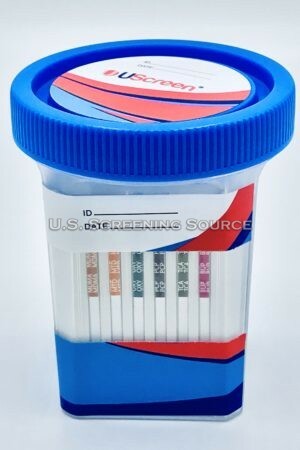 If this happens, run another test. 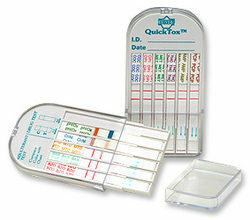 For almost 20 years, we have been serving clients from all industries. 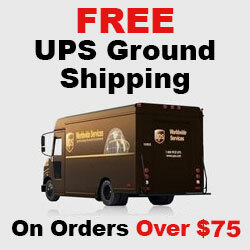 We offer high quality products, competitive prices and superior customer service. 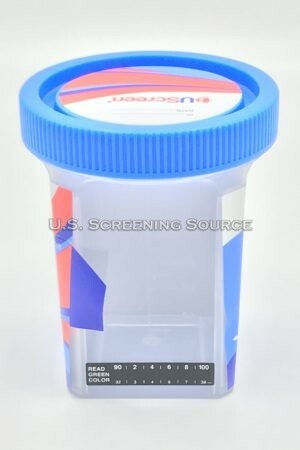 Blue Grass Drug Screen, Inc.
© Copyright 2017 U.S. 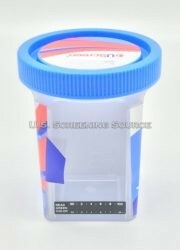 Screening Source. All Rights Reserved. 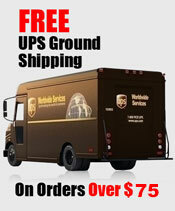 Web design by Crosby Interactive.